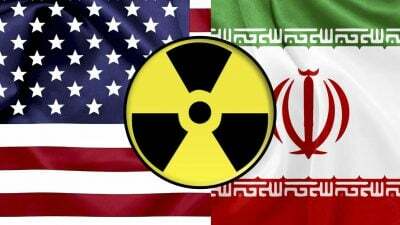 The JCPOA, the Joint Comprehensive Plan of Action, known as the Iran nuclear deal, is an agreement on the nuclear program of Iran reached in Vienna on 14 July 2015 between Iran, the P5+1, and the European Union. More than half of the international community was involved for more than 20 months in arduous negotiation to formulate the JCPOA Agreement with Iran. The action of the 45th President of the United States in repudiating that accord which America signed is an act of sabotage against the international community and part of an agenda to gain control of the Middle East and its strategic oil fields. It is an act of bad faith on behalf of the US superstate and a huge disappointment to both the U.N., the E.U. and those governments affected worldwide. To the above, one has to add the incredulity of the international community at Trump’s politically and economically ignorant, unilateral rejection of the Paris accord on Climate Change in denial of international scientific opinion. These actions of political stupidity constitute the greatest danger to world peace, international trade and the global balance of power that have faced the United Nations and its 193 member states, since World War 2. There is now an urgent combined need for joint action against the foreign policies of the current administration in Washington. One action would be the creation of a new global reserve currency as a valid alternative to the US dollar that is now being used to impose American hegemonic autocracy upon the world, led by Donald Trump, President and architect of a new world order of Right-wing warmongers. It should be borne in mind that according to the IMF, America’s GDP of $19 trillion is dwarfed by the global GDP total of $60 trillion (excl the US). In fact, just three states, China, Japan and Germany have a combined GDP that exceeds that of the United States. Both Mr Trump and the US dollar need to be confined to where they belong i.e. in the only state in the world where guns (393m) outnumber people (326m) and where every week there is a new mass shooting in a school, a place of worship, a school bus or a bar. 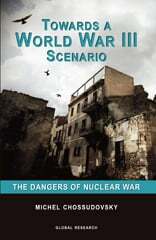 What Europe and the rest of the world needs is a reduction in nuclear and chemical weaponisation, not an increase as favoured by the Trump warmongers. There must be no war or so-called pre-emptive strike against Iran or any other sovereign state, particularly when there is a nuclear non-proliferation treaty in force. Furthermore, pressure must be applied to the Israeli government to join with the international community by ratifying not only the nuclear NPT but also to join the OPCW Chemical & Biological Weapons Conventions in line with the rest of the world. If not, then the Israeli state stands outside the membership of the United Nations as a dissident state. And that is a distinct danger to us all. Hans Stehling (pen name) is a political analyst based in the UK. He is a frequent contributor to Global Research.